Versão em língua inglesa da obra que resgata 41 histórias das mitologias grega e latina, revelando personagens, traçando paralelos entre os personagens de cada uma delas. Escrito para todas as idades, “Mitologia e suas sabedorias” traz, ao final de cada história, breves comentários sobre como a mitologia está presente em nossa vida, e quais as sabedorias podemos extrair das milenares histórias mitológicas. English version of the work that rescues 41 stories from the Greek and Latin mythologies, revealing characters, drawing parallels between the characters of each one. 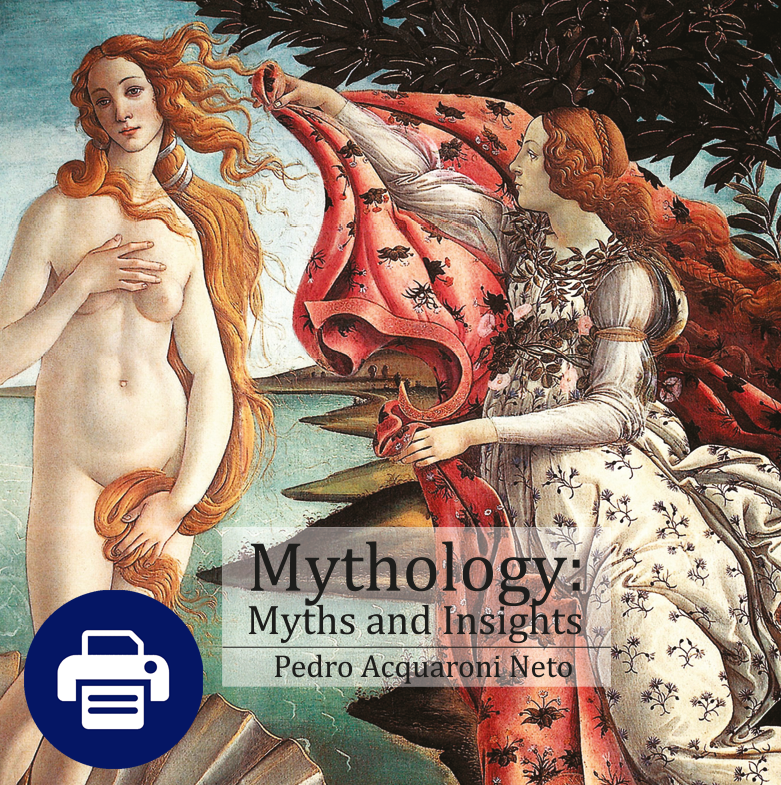 Written for all ages, “Mythology: myths and insights” brings, at the end of each story, brief comments on how mythology is present in our lives, and what wisdom we can draw from millennial mythological stories.